Thread: How many dirt riders are here? I was just wondering how many of us also ride dirty. I do a little dirt biking. Miami Creek & sometimes Jawbone/Calif City area. Re: How many dirt riders are here? Next spring I hope to get right back to it. 1 hr from fresno to unloaded and riding. That sounds fun. Seems like at least a 2 tank trip. Mostly ride in Tulare at DT1. They have a good main track and vet track with smaller jumps. Rode at Milestone this weekend, it was pretty sweet. Track was decently maintained and they had a vet, quad and mini track too! we do "jose basin" on 3/4 tank out and back. gets a lil tight on the 2 wheeler yzf250 to make the distance. but, so far no ones ran out of fuel. i tend to roll in 3rd gear pulling from 10 to 45 mph. so my fuel use is way way down on the quad. Bikes: (2) 05 ZX10R sold , 05 ZX6R "put 2 sleep"
I'd been itching to do dirt.. I'm thinking of taking my kids up to Miami trails this Saturday and let them put around the quad trails..
After we cool down. Should be good for dirt biking. This old man will try to keep up. Very cool, look forward to it! Anyone ready to ride yet? I'll pull my bike out of storage in a couple weeks. Perfect timing!..had a small setback. I'll need at least a week to deal with a lingering boo-boo. Meanwhile bolting on some goodies. Cant wait to start bangin gears again!! Keep me up to date. 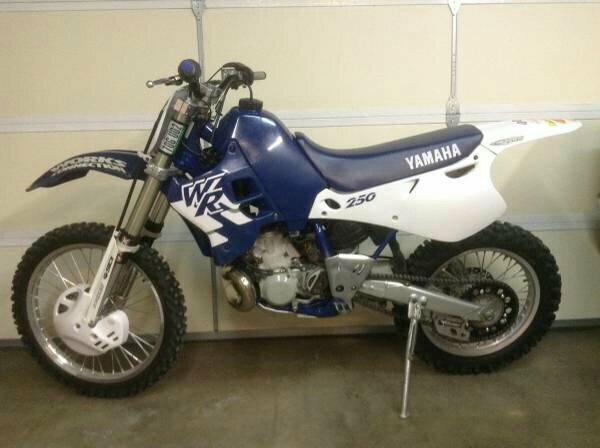 My bike should be returning in a couple weeks. Friend has been storing it for me.